*Both includes snacks and supplies, and does not include transportation. For tickets with hotel stay option, we will end applications by April 17th. Applicants who are interested in the themes listed above (not limited to) and have own ideas. Applicants who are willing to support other people who have ideas. * Both includes snacks and supplies, and does not include transportation. We have various support & sponsor tickets. Sponsor ticket can invite one participant, and the sponsor can observe final presentation, panel session and join reception. If sponsor wants to invite specific individual, please let us know her/his name and contact info, so that we will directly invite her/him. The sponsor are given one vote for selecting sponsor’s award, and may get surprise gift. 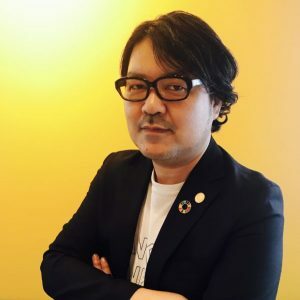 Koichi Ogawa is one of the top media producers and a dream-creator. He has spent years in PR firms, and worked at MyNavi since 2002. He is known for his success in particularly on commercial sites and media production targeting next generation of girls, including “JOL Harajuku”. He has founded his own business in 2015, and established Woman Innovation Non profit organization, and Happy Woman, Inc. in 2017. He’s been mobilizing prominent women as a national movement for UN International Women’s Day event “Happy Woman Festa” in 2017 and quickly expanding it to nationwide activity. He’s also an expert of consulting corporations for women empowerment, marketing, and training. He has been selected one of top 50 Japanese who will make brighter Japan by French magazine Zoom Japon. Inspired by the Grameen Bank’s work, Atsuyoshi established an e-education system among the poor in Bangladesh. At the age of 19, he became the first Japanese coordinator of the research laboratory of Grameen Bank. In 2010, he started up the e-Education Project and was inaugurated president. He won both Grand Prix and Watami Special Awards of Everyone’s Dream Award 2010. In 2011, he published “DO IT! DO IT! GO AHEAD!” (Kirakusha) describing his story of development up to the start of the e-Education Project. He is the main partner in the World Bank Group’s 2014 Innovation Challenge winning project “E-Science Education Project – Bangladesh”. 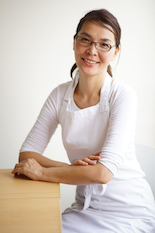 Specializing in pastry, Yuki trained at ‘Le Cordon Bleu’ in both London and Paris in 1997, before becoming a Patisserie in 1999 at the London’s Savoy Hotel. Later she worked with the Conran Group at London’s Great Eastern Hotel, specializing in restaurant desserts. In 1999 she won the Hospitality Week 99 Restaurant Plates Sweet Gold Award, and in 2001 she won the Silver Award of the Dessert of the Year UK. Chuk Besher| Executive Producer at 3Minute Inc.
Chuk currently serves as Executive Producer for 3Minute Inc., a subsidiary media company of GREE. 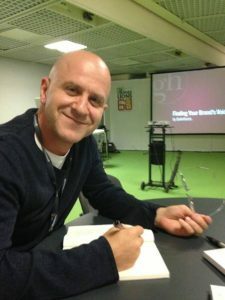 His current professional passion is in producing a women’s empowerment documentary series—Future is MINE—published on MINE, a women’s digital video magazine with 6 million+ followers. Chuk has a broad range of experience in government, TV broadcasting, investment banking, advertising, marketing, and corporate communications—including CSR, CSV, and Sustainability. Previously, he was in charge of communication planning for Beijing and London Olympics, and South Africa World Cup—as well as public affairs and sustainability at Coca-Cola Japan. Chuk is a graduate of Columbia University’s School of International and Public Affairs. Chuk is a columnist for Tokyo Headline. Born in Kobe, Japan, Chuk is Japanese citizen. His parents immigrated to Japan as refugees from China after WWII. Chuk resides in Tokyo with his wife Yuki, and sons Noah (9) and Luka (7). 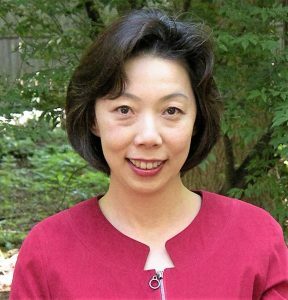 As an environmental gerontologist, Dr. Emi Kiyota, based in Washington, DC, focuses on improving both the built environment and the organizational culture of long term care for elders. 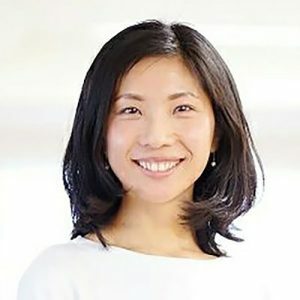 Inspired by living in a nursing home during her graduate studies, Kiyota has become an expert on age-friendly housing, hospitals, and clinical care centers in the US, Europe, Asia, and Africa and frequently speaks on these issues at international gatherings. In 2010, she founded Ibasho, a nonprofit organization dedicated to creating socially, economically, and environmentally sustainable communities that value their elders, embodying the Japanese concept of “a place where one feels at home being oneself.” Through her work, she continues working to create a shared future for elders internationally in which aging is something not to fear but to enjoy as a valued community member. Her vision is to provide elders with a range of opportunities to contribute to the whole community. She is president and CEO of Ibasho, as well as serving on the board of directors of International Homes and Services of Aging. She was awarded a Loeb Fellowship at the Graduate School of Design in Harvard University in 2017, and a Rockefeller Bellagio residency fellowship in 2011. She may join us via online. 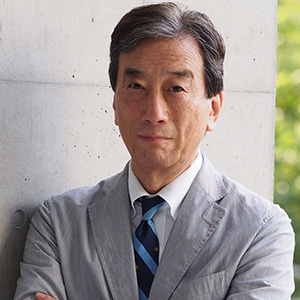 Dr Kiyoshi Kurokawa is Professor Emeritus of the National Graduate Institute for Policy Studies, Professor Emeritus of the University of Tokyo, and Chairman of Health Policy Institute, Japan. Dr. Kurokawa is a recipient of Order of Purple from the Government of Japan for Excellence in Academic Achievements in 1999. Kumamon started his career in 2011 when Kyushu Shinkansen was inaugurated. 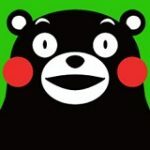 Kumamon was appointed as the Director for Sales and Happiness by Governor Kabashima, and his task is promoting Kumamoto surprise and happiness to various parts of the world. After graduating from Keio University in 2006, Ms. Hara joined Morgan Stanley Equity division in Tokyo as a hedge-funds sales person. Spending some exciting years in the investment industry, she changed her career direction to tackle global inequity and insecurity especially for vulnerable children. Her experience covers Childline Botswana (a child-shelter in Botswana), UNICEF Liberia and Japan Committee for UNICEF. Currently, she is in charge of communication and advocacy in Japan Committee, Vaccines for the World’s Children (JCV). She obtained Master degrees from Sciences Po a Paris and University of Tokyo. She is also a PhD student in University of Tokyo. 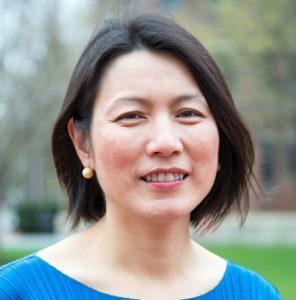 Dr. Fumiko Sasaki is a faculty member of graduate schools of Columbia University and Johns Hopkins University, teaching East Asian Security. She is assigned to teach ‘Innovative Solutions to Human Security’ at the Earth Institute Executive Program at Columbia University. As a Community E-Learning Director of Distance Education for Africa, she fundraises and teaches on globalization to the youth in Africa live online. She holds a Ph.D. and MA in international relations from the School of Advanced International Studies at the Johns Hopkins University. 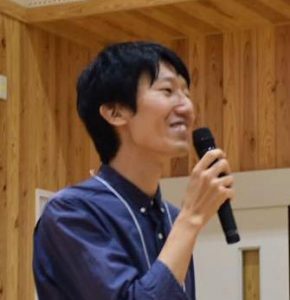 Hiromi Murakami is the Founder and President of JSIE. Prior to founding JSIE, she’s involved in various policy projects in US/Japanese institutions, including Center for Strategic and International Studies (CSIS) Global Health Policy Center, the Health and Global Policy Institute (HGPI), and Economic Strategy Institute. 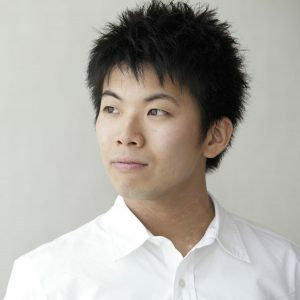 Currently Murakami is also an adjunct fellow with the CSIS Global Health Policy Center and is a Visiting Fellow at the National Graduate Institute for Policy Studies in Tokyo, Japan. 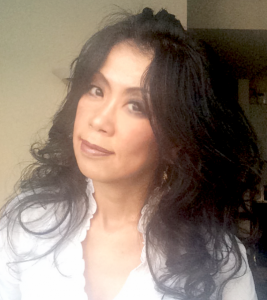 Prior to joining HGPI, she led Asia research as a vice president at the Economic Strategy Institute in Washington, D.C., and taught courses at the National Graduate Institute for Policy Studies (GRIPS) in Tokyo and the Johns Hopkins School of Advanced International Studies (SAIS) in Washington. She holds an M.B.A. from St. Mary’s College and a Ph.D. in international relations from Johns Hopkins SAIS. *Voluntary group work may take place during the evening time. *Contents, schedule, and mentor/panelists are subject to change. → Participants should be able to discuss matters in Japanese with other participants during group works. However, all JSIE facilitators are bilingual, so they will help you in many ways. Please don’t hesitate to participate. → No, transportation is not included. Please choose the ticket that includes hotel stay if you need a place to stay. As rooms availability is limited, please apply early so that we can secure room(s). What would happen if there are more applicants exceeding the capacity of 35?